In our Central and Western region, September through to May is the optimum time to transplant. 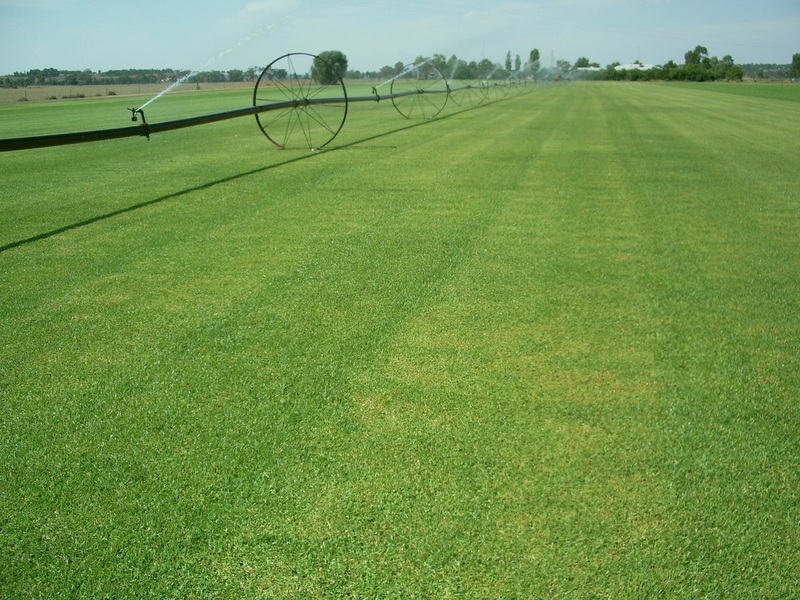 Kikuyu can be planted through the winter months with little risk of loss, due to the semi-dormant state with some growth occurring in winter. However, soft buffalo propagation throughout winter is to be avoided as there is more chance of the plant not striking due to the longer dormancy period. How do you measure an area? The easiest way is to break the yard up into blocks, measuring the length by the width and multiplying it out. Measure the height and the width then multiply them out and divide by 2. For example: the radius is equal to 8 metres. What area does a roll of turf cover? One roll is equivalent to one square metre in area. How much does one roll weigh? One roll weighs approximately 10-15kg, depending on moisture level. How many rolls on one pallet? There are 50 rolls on one pallet. One pallet weighs about one tonne, also depending on moisture level.